Suicide over BP Oil Spill? RIO DE JANEIRO (Dow Jones)--A planned share offering by Brazilian state-run energy giant Petroleo Brasileiro SA (PBR, PETR4.BR), or Petrobras, should come in "north" of $60 billion, Credit Suisse analyst Emerson Leite said Tuesday. Petrobras plans to sell the shares to fund its $224 billion five-year investment plan and pay the government for rights to 5 billion barrels of offshore crude. The share sale is expected for September. The share sale "should generate about $25 billion in fresh cash, with about $35 billion to pay for the barrels," Leite said on a Credit Suisse-sponsored conference call. Petrobras and the Brazilian government should arrive at a valuation of between $7 and $8 a barrel for the oil rights, up from previous estimates of between $5 and $6 a barrel, Leite said. Brazil's National Petroleum Agency, or ANP, recently hired Gaffney Cline & Associates to certify government-held reserves, while Petrobras has hired DeGolyer & MacNaughton. Petrobras's recent delay of the share offering to September, which is closer to the country's presidential elections, should not have any effect on the company's plans, the analyst said. "It's, obviously, time wise, better to have it done beforehand, but in a way I think Petrobras's long-term outlook will not change materially as a function of elections," Leite said, although he added that the timing has caused some near-term uncertainties. Congressional delays to passage of the government's planned capitalization of the company and uncertainties surrounding the share offering have dragged on the company's stock in recent months. Petrobras's locally traded preferred shares are down nearly 26% so far in 2010, dropping the company from the second-largest oil company by market value to fourth. The broader market as measured by the Ibovespa stocks index, meanwhile, is down 9.3% year-to-date. Leite also noted that Petrobras's production targets released with the company's 2010-2014 investment plan appeared "virtually unachievable." Petrobras has been unable to reach its annual production targets in recent years. Petrobras estimated it would reach average daily output of 3.907 million barrels of oil equivalent, or BOE, by 2014 and 5.382 million BOE by 2020. On the positive side, Petrobras continued to approve the economics surrounding development of the presalt region. The ultra-deepwater oil wells have showed positive reservoir response and good productivity, Leite said. In addition, the company's recovery factor of 25% appeared conservative. "Economics are improving and our fair value assessment of $4 to $5 a barrel should increase to $5 to $6 per BOE," Leite said. 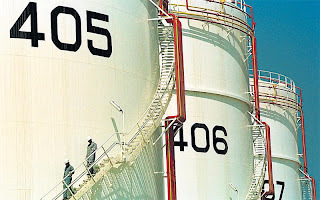 CAIRO (Reuters) - An Egyptian company has won a $400 million project to install petroleum storage tanks at Yanbu in Saudi Arabia, the state news agency quoted Egypt's oil minister as saying on Tuesday. The company, Engineering for the Petroleum and Process Industries (ENPPI), will build 47 tanks of various sizes with a combined storage space of 12 million barrels, Sameh Fahmy said. The tanks, which will store crude oil and oil products, are for Saudi Aramco's new Yanbu oil refinery. 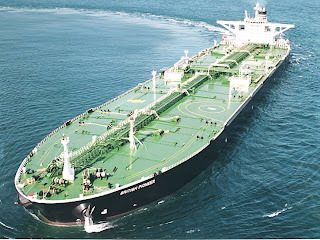 June 28 (Bloomberg) -- Kuwait Oil Tanker Co. will sign a $142 million contract with South Korea’s Daewoo Shipbuilding & Marine Engineering Co. Ltd. for two vessels for oil products, KUNA reported, citing KOTC Chairman Nabil Bouresli. The tankers, to be handed over in 2012, will each have a capacity of 110,000 tons, Bouresli said, according to the state news agency. The construction of the tankers is part of a plan by the unit of state-owned Kuwait Petroleum Corp to modernize its fleet and operate 33 tankers, Bouresli said. 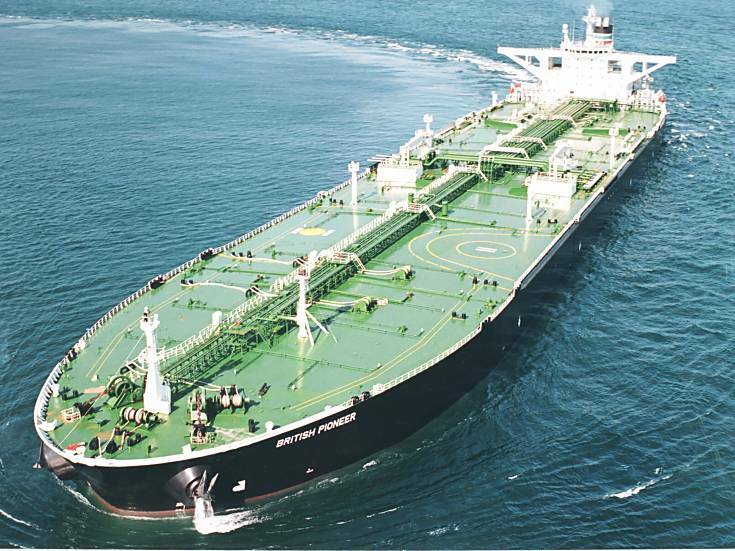 Kuwait Oil Tanker signed a $708 million contract with Daewoo in August 2008 for four very large crude carriers. Kuwait, the third-largest producer in the Organization of Petroleum Exporting Countries, plans to raise its output capacity to 4 million barrels a day by 2020. The country pumped 2.35 million barrels of oil a day in May, according to Bloomberg data. BAGHDAD — Iraq has approved a $17 billion joint venture project with Royal Dutch Shell PLC to tap associated natural gas in four southern oil fields, the government announced Tuesday in its latest push to develop an oil sector battered by years of neglect and war. The deal is expected to be a key part of the government's strategy to alleviate its power generation woes as chronic power outages have led to sometimes violent protests over the past few weeks. Under the deal, Iraq will hold a 51 percent stake in the new Basra Gas Company while Shell will hold a 44 percent share. Japan's Mitsubishi Corp. will hold the remaining five percent stake in the company, according to a government statement. It did not say when the final signing will be. Iraq, which is home to the world's third largest proven reserves of conventional crude oil, sits on an estimated 112 trillion cubic feet of natural gas reserves. Of the 1.5 billion cubic feet per day of gas it produces, almost half is burned off at the wells. The deal, which is Shell's third in Iraq since the 2003 U.S.-led invasion, was designed to tap all the associated gas in Iraq's oil rich southern province of Basra. It was later amended, however, to include the four oil fields that were among the 11 fields awarded to foreign oil companies in two bidding rounds last year. Thamir al-Ghadhban, the Iraqi prime minister's chief adviser on energy, said the latest deal is worth about $17 billion, including $5 billion of existing infrastructure assets. The project also marks a major step in Iraq's effort to capture and put to use for generating electricity the natural gas that has routinely been burned off — or flared — at the fields because the country lacks the necessary infrastructure to bring the gas to market. Officials see the capture of the gas as an important step in dealing with chronic power cuts that have recently led to protests, including one that left two dead in Basra and forced the electricity minister to resign. Since the 2003 U.S.-led invasion, the government has spent billions working to rebuild Iraq's national electrical grid, which was in poor shape because of various wars over the past decades. Most Iraqis only receive between five to seven hours of power a day. Last May, with an eye on boosting gas output, Iraq invited international energy companies to bid to develop three untapped gas fields in an auction set for Sept. 1. Once these fields are brought online, the production will be used to meet Iraq's growing energy needs as well as possibly exporting to neighboring countries or the European Union. Iraq's latest five-year plan, approved in April, forecasts crude oil output growing to 4.5 million barrels per day by 2014, from the current 2.4 million barrels per day. Oil exports are forecast to grow to 3.1 million by the same year, compared to roughly 2 million barrels per day now. It also plans to produce 2.75 billion cubic feet a day of gas by 2014, with the increase coming mainly from the fields to be auctioned. MOSCOW, June 29 (Reuters) - Gazprom Neft (SIBN.MM), the oil arm of Russian energy firm Gazprom (GAZP.MM), is looking to expand its foreign operations into oil-rich Cuba and Iran, which are both hindered by trade sanctions. The company is actively seeking to increase its resource base to meet an ambitious oil output goal of 100,000 million tonnes a year by 2020, up from around 60,000 million. "Gazprom Neft wants to join Petronas' [PETR.UL] project in Cuba," Gazprom Neft head Alexander Dyukov said during the company's annual shareholders' meeting. His deputy, Boris Zilbermints, said the firm aimed to clinch a deal in July. Zilbermints also said the company was keen to conclude preliminary talks to develop the Anran oilfield in Iran by the end of the summer but implementing the deal would depend on the United Nations changing its trade sanctions on the country. Last November, Gazprom Neft (SIBN.MM), Russia's fifth-largest oil producer, signed a memorandum of understanding with the National Iranian Oil Co (NIOC) to study the development of another two Iranian oilfields, Azar and Shangule. Cuba estimates it has 20 billion barrels of oil-abundant in its section of the Gulf of Mexico that abuts the oil-rich U.S. and Mexican zones of the gulf. Cuba's portion of the Gulf of Mexico has been divided into 59 blocks, of which 17 have been contracted out to companies including Spanish oil giant Repsol (REP.MC) (REP.N) and its partners, Malaysia's Petronas, Brazil's Petrobras (PETR4.SA)(PBR.N), Venezuela's PDVSA and PetroVietnam. Cuba also presents some difficulties for the development of hydrocarbon reserves as the country falls under a U.S.-imposed trade embargo. The 48-year-old embargo limits the amount of U.S. technoloby that can be used in oil developments in Cuba. Gazprom Neft also owns a 20 percent state in a consortium with other Russian producers to develop hydrocarbon deposits in Venezuela. After BP and Statoil pioneered the technique at In Salah in the centre of Algeria, Total, Gaz de France and Sonatrach have launched a joint venture to capture CO2 from gas fields at Timimoun, Ahmet and Touat in the South-West. But carbon capturing is not yet part of the Clean Development Mechanism defined in the Kyoto Protocol. 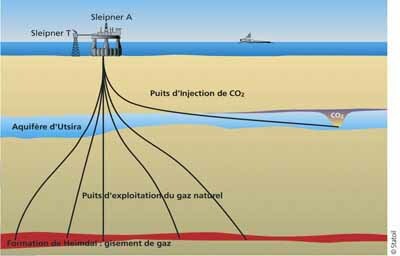 Algeria aims to become a world leader in carbon capturing and storage at gas fields. The country is already considered to be a pioneer in the field, and plans to demonstrate the reliability and importance of the technique through the projects of Sonatrach and its foreign partners. The gas fields of In Salah are among very few in the world that employ carbon-capturing technology. Carbon dioxide is trapped in the deep layers of such fields, and capturing the gas instead of releasing it into the atmosphere reduces greenhouse gas emissions. "Over the 15-year life of the Sonatrach-BP-Statoil partnership, the fields will allow the capture and injection of 20 million tons of CO2, the equivalent of the greenhouse gas emissions of 200 000 cars driving 30 000 km a year," explained Energy Minister Youcef Yousfi. The technique will next be implemented on other sites: Sonatrach plans to take it to its gas fields at Rhourde Nouss and Gassi Touil. In a context of falling environmental investment spending worldwide, Total and Gaz de France plan to roll it out at Timimoun, Ahmet and Touat. The fields mentioned hold 20% of Algeria's medium-term exportable gas reserves. On the strength of its breakthroughs in carbon capture and storage (CCS), Algeria organised the second international conference on the subject in conjunction with the International Energy Forum (IEF). During the forum, the Algerian government reaffirmed its commitment to the widespread use of CCS technology and the importance of integrating these methods with the Clean Development Mechanism and the burgeoning international carbon market. At the moment this market excludes CCS, focussing instead on the use of renewable energy sources. "We need to prove that this technology is reliable and implement a public education programme to explain to people that there is no risk of CO2 pollution of the air," said Hamid Dahmani, an advisor to the Energy Minister. Money from carbon to finance renewable energy What is at stake is making money from the quantities of CO2 injected into the gas fields. The cost of a ton of carbon on the international carbon trading market varies from 10 to 20 euros, and if CCS is integrated into this market, oil and gas producers, especially in Africa, would be bale to use these funds to develop sustainable energy sources. Algeria is also making progress in doing away with gas flaring: 90% of oil fields have stopped flaring. The Trans-Sahara gas pipeline project, from Nigeria to Europe via Niger and Algeria, will eliminate the flaring of gas equivalent to 200 000 barrels of oil. All these efforts to reduce greenhouse gas emissions could theoretically be monetised. While African countries contribute only marginally to CO2 emissions (4% of the world total), its help in the struggle against climate change could make a big difference. Paradoxically, despite all these efforts, Algeria has not yet submitted a Clean Development Mechanism project to the United Nations, while its neighbour Tunisia has. 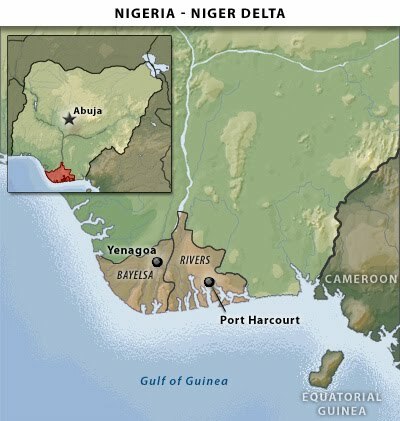 Nigeria will begin a program to reintegrate former militants in the oil-rich Niger River delta region back into society, the Punch reported, citing Timi Alaibe, the presidential adviser on the region. 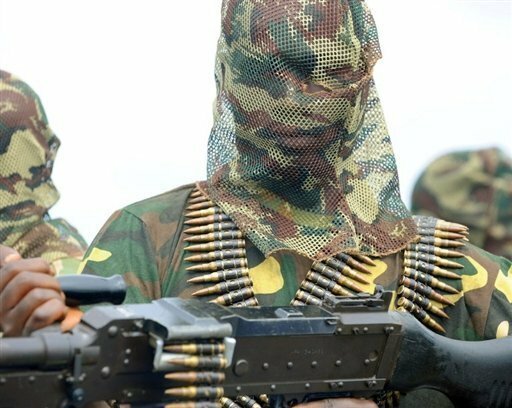 More than 20,000 former rebels will be involved in the project, which will provide counseling and career-guidance, the Lagos-based newspaper said. The former militants, who were fighting for a greater share of Nigeria’s oil wealth, agreed to disarm under an accord with the federal government in September. To contact the reporter on this story: Sam Olukoya in Lagos via Johannesburg at pmrichardson@bloomberg.net. Lagos — Afren's Ebok Deep exploration well, offshore Nigeria on OML 67, has encountered oil shows in good quality sands according to the company. The well, the company said was drilled to a total depth of 11,375 ft and results of drilling and wireline logs have shown that the well intersected two sandstone intervals of 370 ft combined gross thickness in the targeted Biafra and Isongo formations. Afren said that the oil shows provided good indications of oil migration pointing to potential for oil trapped, up-dip from the current well location. The well has demonstrated a working hydrocarbon system in the deeper Biafra and Isongo formations, and excellent quality reservoir sands are present. The well has been temporarily abandoned and will be available to use for further drilling in the area. Afren plans to follow up the results with further detail technical work, which will be incorporated into the sub-surface model to assist in future exploration of the significant potential that exists in the deeper horizons at Ebok, Okwok, and OML 115, which are contiguous with each other. Afren has a comprehensive drilling program planned for the remainder of 2010 that will target a combination of development, infill, appraisal and high impact exploration targets. The next appraisal and high impact exploration wells to be drilled will be at Okwok and OML 115 respectively, which will be drilled in H2 2010. Osman Shahenshah, Chief Executive of Afren, stated: "The Ebok deep exploration well was the first to target the deeper Isongo and Biafra formations in the Ebok/Okwok/OML 115 area. We are pleased that the well results demonstrate a working hydrocarbon system and good quality sands at these depths with encouraging signs that significant potential for trapped oil exist up-dip in OML 115." 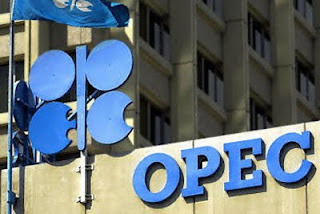 LONDON (Reuters) - OPEC crude oil supply has fallen in June from the 17-month high reached in May because of lower supplies from Iraq, Angola and Nigeria, a Reuters survey showed on Tuesday. Supply from the 11 members of the Organization of the Petroleum Exporting Countries with output targets, all except Iraq, has averaged 26.75 million barrels per day (bpd) this month, down from 26.90 million bpd in May, according to the survey of oil firms, OPEC officials and analysts. Supply from the OPEC-11 is 1.91 million bpd higher in June than their target of 24.84 million bpd, the survey found, meaning the group achieved 2.29 million bpd of the promised curbs. That left compliance at 55 percent, up 4 percentage points from May. Total OPEC supply including Iraq is down 190,000 bpd to 29.10 million bpd, the survey found. sector, oil industry executives told a conference on Friday. belt alone holds about 26 billion barrels of recoverable oil. at a total investment cost of some $80 billion. political uncertainty about investing in Venezuela. ConocoPhillips (COP.N) and Exxon Mobil Corp (XOM.N). hydrocarbons agency and lowering industry taxes. Randy Gossen, president of the World Petroleum Council. Spain's Repsol (REP.MC) and Italy's Eni (ENI.MI). senior executive at Argentina's Pluspetrol. RIO DE JANEIRO (Dow Jones)--Brazilian oil and gas company OGX Petroleo e Gas Participacoes SA (OGXP3.BR, OGXPY) said a well in the Campos Basin's BM-C-40 block showed signs of oil. The company said it had identified an oil-bearing interval in the 1-OGX-14-RJS well in the BM-C-40 block. OGX discovered an oil column of 60 meters in the Albian section, with net pay, or reservoir thickness, of 22 meters, OGX said. OGX holds a 100% stake in the block. The well was drilled in 104 meters of water some 96 kilometers off the coast of Rio de Janeiro state. 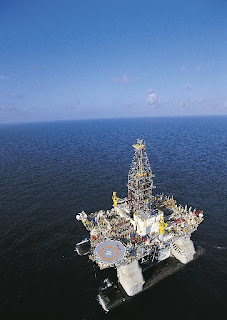 Initial drilling on the well was started on May 30 by Diamond Offshore Drilling Inc.'s (DO) Ocean Lexington rig. "This discovery represents another very important step for OGX since hydrocarbons were detected also in an area to the north of our recent discoveries in Campos in which the company had not drilled previously," OGX CEO Paulo Mendonca said in a statement. OGX holds stakes in 29 exploration blocks in the Campos, Espirito Santo, Para-Maranhao, Parnaiba and Santos basins. Initial drilling success prompted the company to ramp up its exploration program. Over the next four years, OGX plans to drill 79 wells--72 offshore and seven on land. In 2010, OGX will drill 27 wells. Twenty-six of the wells will be drilled offshore, with a single onshore well planned for the Parnaiba Basin. 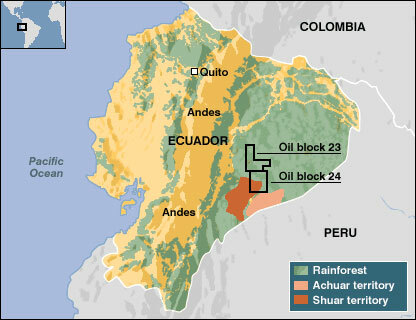 Last week, OGX also purchased stakes in five exploration blocks in Colombia. RIO DE JANEIRO (Dow Jones)--Crude-oil and natural-gas production at Brazilian state-run energy giant Petrobras (PBR, PET4.BR) was stable in May as higher natural-gas output offset slightly lower crude-oil production, the company said Friday. Petrobras said that overall daily oil and gas production reached an average 2.5991 million barrels of oil equivalent, or BOE, in May, up fractionally from 2.5985 million BOE a day in April. In Brazil, Petrobras's domestic oil production fell 0.6% to an average of 2.02 million barrels a day in May, down from April's record daily average of 2.033 million barrels. Petrobras has increased output in recent months as production ramps up at several platforms installed over the past 18 months. The company also expects to post production records later this year as two new platforms come on stream. International crude-oil production advanced, with Petrobras producing an average of 151,700 barrels of crude a day in May, up from 151,400 barrels in April. Domestic natural-gas output rebounded from recent demand-related declines. Production rose to 52.8 million cubic meters a day in May, up from 51.5 million cubic meters in April. Natural-gas output at Petrobras's overseas facilities rose to 16.21 million cubic meters a day in May, up from 15.32 million cubic meters in April. BRUSSELS — OPEC called Monday on the United States to reconsider a ban on new deep-water drilling that could hold back oil supplies — despite safety concerns in the wake of the massive Gulf of Mexico oil spill. Abdalla Salem El Badri, secretary-general of the 12-member Organization of the Petroleum Exporting Countries, says offshore drilling is an important source of oil and any ban would be too hasty when the cause of the Gulf of Mexico spill is still unclear. President Barack Obama last month imposed a six-month ban on Gulf of Mexico drilling after an April 20 explosion at a BP oil rig killed 11 workers and blew out a well 5,000 feet (1,525 meters) underwater — spewing out hundreds of millions of gallons (liters) of oil. Some 25 million barrels of oil extracted every year comes from offshore wells — with only 9 million of them from OPEC countries, he said. Iranian oil minister Masoud Mirkazemi told reporters at the same press conference that Iran was "ready to help" the U.S. with its own technical knowledge of capping blowouts. The U.S. is threatening to increase sanctions against Iran to deter it from developing nuclear weapons — a charge Tehran denies. 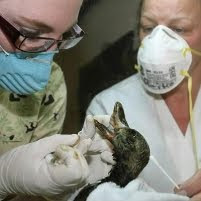 Oil company Syncrude Canada has been found guilty by a Canadian court of killing 1,600 ducks two years ago by allowing the birds to land on a toxic pond filled with oilsands waste in April 2008. A judge determined Syncrude was liable for the deaths because it had reduced efforts to deter wildlife away from the four-and-a-half square mile pond consisting of clay, water, sand, hydrocarbons and heavy metals that are left over when extracting oil from sandy deposits at its Aurora mine site. The company says it has beefed up its deterrent system since the 2008 accident by adding staff and a radar system to alert birds they are approaching the area. Syncrude faces fines in the hundreds of thousands of dollars for its mistake. 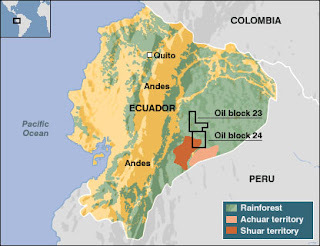 QUITO June 27 (Reuters) - Ecuador wants 25 percent of gross income from the country's key oil sector to go to the state, according to a law proposed by the government aimed at increasing revenue from natural resources. The bill, sent to Congress late on Friday, is marked urgent, meaning it must be acted on by the legislature within a month or it automatically becomes law. The smallest member of OPEC, Ecuador has been trying to renegotiate contracts with private oil companies for two years in a bid to boost state control over the oil sector. "The state will reserve 25 percent of gross income," the text of the measure says. Companies that do not sign contracts governed by the new law will be paid for the investments they have made in the country and their operations will be taken over, President Rafael Correa has warned. Spain's Repsol (REP.MC: Quote), Brazil's Petrobras (PETR4.SA: Quote) (PBR.N: Quote), Chinese consortium Andes Petroleum and Italy's Eni (ENI.MI: Quote) are among the biggest oil investors in the Andean country. 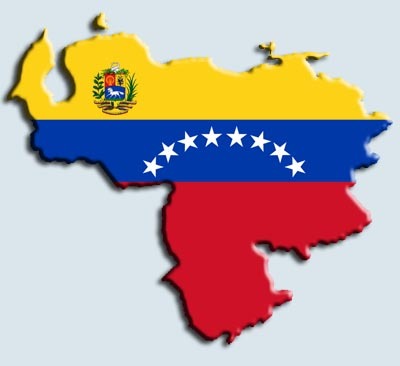 Venezuela has announced its intention to nationalize 11 oil rigs owned by Tulsa-based drilling and exploration company Helmerich & Payne Inc. (HP). HP has been in negotiations with Venezuela’s national oil company, PDVSA (Petroleos de Venezuela SA) over the fate of the rigs since the company halted production last year when PDVSA defaulted on its payments, according to Bloomberg Businessweek. PDVSA will ask permission from Venezuela’s National Assembly to take over the rigs saying HP has refused to discuss payment. “We won’t allow them to sabotage our operations,” said oil minister and president of PDVSA, Rafael Ramirez, in an e-mailed statement, according to the Bloomberg report. Just a few years ago, the oil tanker industry was booming. Rates on the benchmark Saudi Arabia-to-Japan route rose as high as $177,000 a day for supertankers. They had easy money. The financial crisis ended all of that though. As oil prices fell from $147.27 a barrel to a mere $32.40 in December 2008, supertanker rates fell too. And they didn’t hit a bottom until September 2009 at $1,246 a day. Today though, those rates are on the rise again. Last week they hit above $70,000. And they could climb above $100,000 soon enough, a level last seen in July 2008. The longer the voyage, the more profitable it is for the oil tanker industry. So, it’s pretty obvious why they love China. Since China can’t sustain its appetite all on its own, it has to look elsewhere. That has meant relying heavily on countries such as Saudi Arabia – a 21-day trip away – and even Angola, which takes 33 days. China imports an annual 4.29 million metric tons of oil from Angola, about 70% more than it did just two years ago and notably more than the 3.09 million it gets from Saudi Arabia. So as its oil imports rose 31% in April, supertankers’ return journeys increased to about 1.13 million miles. Those increases look set to continue too. The International Energy Agency (IEA) estimates that China will need an extra 669,000 barrels of oil a day in order to sustain its economic growth through the year. That’s the equivalent of more than two additional supertanker cargoes every week. The fallout from the BP ADR (NYSE: BP) oil disaster certainly doesn’t hurt the shipping industry either. It usually benefits from bad news: storms, wars, black swans, oil spills. And Obama’s 6-month drilling ban just helps it out even more. Should he continue to extend it further, that would make the supertanker businesses that much more happy. The parts of the Gulf of Mexico affected by the moratorium account for up to 150,000 barrels a day. With all of that production shut down so close to home, the U.S. has had to seek oil elsewhere, particularly in Nigeria and Angola. And in order to transport it most efficiently, the companies involved are relying mainly on the biggest ships available: very large, crude carriers (VLCC) carrying 2 million barrels, and Suezmax ships carrying 1 million barrels. Currently, according to Lloyd’s Register-Fairplay, about 11% of the global supertanker fleet is fitted with a single hull. But due to environmental concerns, the International Maritime Organization has imposed a ban on such vessels that takes full effect in 2015. Because of that, a large amount of additional ships are currently on order to be built. So many bears expect a 50% drop in spot tanker rates over the next year. But they forget about the delays and cancellations that plague the ship-making industry. The tanker fleet may actually even shrink this year. The best way to invest in that possibility is to target companies that own numerous large, oil supertankers. That includes Frontline Ltd. (NYSE: FRO), the biggest supertanker operator. * Controlled by Norwegian shipping magnate and entrepreneur, John Fredriksen, the company’s fleet consisted of 76 vessels as of the end of 2009. That included 41 VLCCs and 27 Suezmax carriers. * 45% of its fleet traded in the spot market last year, with the rest on long-term charters. * Just last month, Frontline said it needs only $31,000 a day to break even on its VLCCs. With rates currently well above that level, it can easily do that and more. Additionally, the current consensus earnings estimate for Frontline of just over $3 a share could be too low. The shares have already surged 43% this year and could climb further. Overseas Shipholding Group (NYSE: OSG), the biggest, US-based, tanker owner, also looks good. It did hit five losing quarters in a row. But it should return to profit in the upcoming quarter. That’s in large part thanks to a move it made in February, when it stated its plan to put over 80% of its fleet into the spot market… a brilliant move in hindsight. Investing in the oil tanker industry will likely prove the same. The last tanker cycle bottomed in late 2009, and it appears is in the up-leg of a new one cycle. That means there’s no time like the present. LONDON -(Dow Jones)- The Organization of Petroleum Exporting Countries pegged the value of its reference basket of 12 crude oils at $73.82 a barrel Friday, up 89 cents from $72.93 a barrel Thursday, OPEC said Monday. OPEC's basket of 12 oils consists of Saharan Blend, Girassol, Oriente, Iran Heavy, Basra Light, Kuwait Export, Es Sider, Bonny Light, Qatar Marine, Arab Light, Murban and Merey. The basket isn't used to set any oil prices in the market, but it does give a picture of the value of OPEC's output. OPEC devised a new basket after members complained the old basket overstated the value of the group's output. They pushed for a basket that better represented grades that are higher in sulfur and, as such, cheaper. On Jan. 30, 2005, OPEC suspended its official price band of $22-$28 a barrel because concerns about global stability pushed oil prices up sharply, rendering it irrelevant. The damage inflicted on the BP share price since the Deepwater Horizon rig exploded nine weeks ago has been well documented. What has been less remarked on is the performance of its peers, which has been remarkably resilient. While BP has lagged the London stock market by 47 per cent since the spill, Royal Dutch Shell has underperformed by just 1 per cent and BG has outperformed by 4.6 per cent. That sanguine reaction is surprising because the disaster in the Gulf of Mexico has raised many questions about the oil industry and the risks of investing in oil companies. At the very least investors should now be more wary of investing in a sector where a company the size of BP can see its share price halve in a little over two months and come under such political pressure that it feels the need to halt dividend payments and set up a $20bn compensation fund. Clearly, big oil is no longer the dull, defensive sector it once was. Indeed, the BP share price has been trading like a penny share in recent weeks. The Macondo spill has also highlighted the importance of deepwater exploration, which has been responsible for some of the biggest discoveries of recent years, such as the Santos Basin in Brazil. Deutsche Bank estimates that, in the past 15 years, deepwater drilling has been the source of some 60bn barrels of so-called P2 reserves – reserves that oil companies are 50 per cent confident of producing economically. The bank also reckons deepwater exploration will account for 10 per cent of global oil production for the period from 2008-15 and is central to the industry’s ability to meet global demand for oil. But BP’s inability to stop the flow of oil from Macondo raises questions about future costs, timelines and the depths oil companies will be permitted to drill to. Norway has already said it will not allow any deepwater oil and gas drilling in new areas until the investigation into the explosion is complete, and the US government wants a six-month moratorium on deep-water drilling reimposed. Clearly an outright ban on deepwater drilling is unlikely for energy security reasons, but it seems certain that deepwater exploration will cost more, in the Gulf of Mexico at the very least. Greater safety standards for equipment, additional fail-safe systems and better spill collection capacity will all result in higher costs. A sharper focus on clean-up costs could also lead to higher taxation as governments create funds to deal with environmental consequences of another Macondo. But more important than the costs, which are manageable, is that future deepwater projects will take longer to develop and bring on line. In this respect, it is worth noting that deepwater exploration is set to become a very important source of growth for BG due to its exploration success offshore Brazil. Deutsche Bank estimates a third of BG’s P2 reserves are in deepwater. Shell has a more diversified portfolio and most of its important developments – the Pearl gas to liquids plant in Qatar and Canadian oil sands – do not involve deepwater drilling. Even so, it still has material operations in the Gulf of Mexico. As for BP, its operations in the region accounted for almost 10 per cent of its total production, according to UBS. Smaller exploration and production (E&P) companies such as Cairn Energy and Tullow Oil have steered away from deepwater drilling but, as Matrix Corporate Capital notes, Tullow’s Jubilee field offshore Ghana is in about 1,500ft of water and Cairn’s Greenland acreage is at about 1,000ft. “Even this water depth will still prove an enormous challenge in potential disaster recovery, if the equipment is not in place quickly and on a large enough scale.” So, even E&P companies will feel the impact of the spill. Until there is greater clarity on the cause of the Macondo disaster it is difficult to assess how hard the industry will be hit. However, it seems likely that recent events in the Gulf of Mexico will cast a long shadow over the oil industry for years to come. (Bloomberg) -- BP Plc will be allowed to continue drilling for oil and gas in Libya, Shokri Ghanem, the North African country’s top oil official, said in a statement posted on the website of Libya’s National Oil Corp. The Gulf of Mexico oil spill will not “change our confidence” in BP and shouldn’t stand in the way of scientific progress such as deep-water drilling, Ghanem said. BP said today the cost of battling the Gulf of Mexico oil spill has reached $2.65 billion as work continues to drill two relief wells to plug the biggest oil spill in U.S. history. The London-based company in 2007 signed an agreement with the investment arm of the Libyan government to explore for gas along an offshore tract the size of Belgium. “BP has huge capabilities, long-standing experience and high-standard abilities that it could use to tackle the spill and overcome the crisis,” said Ghanem, who is also the chairman of National Oil Corp.
Libya, holder of Africa’s largest oil reserves and an OPEC member, pumped 1.55 million barrels of oil a day in May, according to output estimates compiled by Bloomberg. International oil companies such as Royal Dutch Shell Plc, Eni SpA and Repsol YPF SA produce and explore for oil and gas in Libya. The country ships natural gas to Europe through a pipeline to Italy and in liquid form to Spain. Iraq is seeking investors to help build four oil refineries at an estimated cost of $23 billion that would more than double the country's current refining capacity, the country's top oil official said Saturday. Iraq's oil minister said partners who will build and run the refineries will have 5 percent discount for buying crude -- a recent concession to attract investors. The projects will also be exempt from state taxes and the government will not interfere in pricing the oil products once the plants are operational, Hussain al-Shahristani told a gathering of local and international oil executives in Baghdad on Saturday. "I encourage all investors to seriously think about investing in this promising sector as I do believe that it guarantees profits better than other places," al-Shahristani said. The processing capacity of the four refineries is expected to be 740,000 barrels per day. Although the capacity of Iraq's 11 existing refineries stands at about 700,000 barrels per day, the country processes only about 550,000 barrels a day due to years of war, neglect and international embargo. The largest new refinery will have a capacity of 300,000-barrel-a-day and will be built in Nasiriyah province in southern Iraq at an estimated cost of $8 billion. The Swiss engineering and construction contractor Foster Wheeler AG is conducting the feasibility study and design and is expected to be completed in the first quarter of 2012. Two other refineries with a processing capacity of 150,000 barrels-a-day each will be built in Maysan province in the south and in the northern oil-rich city of Kirkuk at a projected cost of $5 billion each. US engineering firm Shaw Group is conducting the feasibility study and design for Kirkuk and Maysan refineries which will be completed by the end of end of 2011. The fourth one with a daily capacity of 140,000 barrels will be built in Karbala, just south of the capital. Its feasibility study and design by the French oil services company Technip SA is expected by the end of this year. 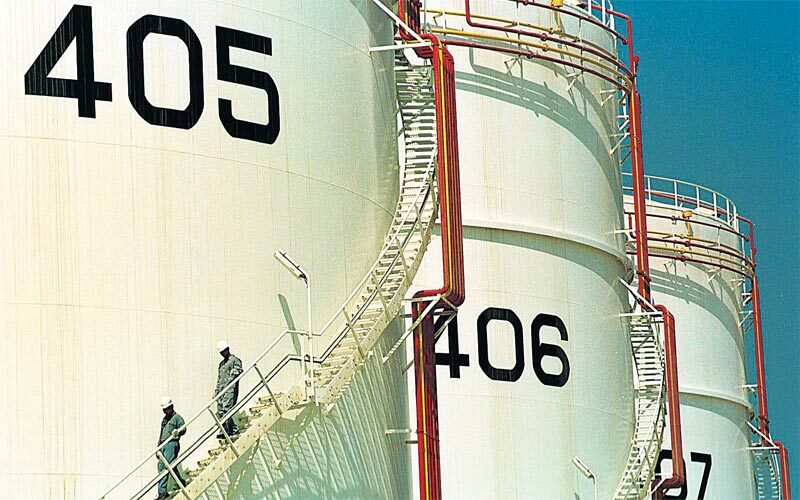 In 2007, Iraqi parliament approved a law for the private investment in crude oil refining to allow foreign or local firms to build and operate domestic refineries. Iraq first offered one percent discount on the supplied crude, but last month the cabinet increased its offer to 5 percent to attract more foreign investors. "It's great and more than enough and very encouraging," Yousif Abdul-Malik, the representative of the Swiss Veron Consulting AG said of the new discount percentage. "This was the major obstacle in the way of the foreign investors," Abdul-Malik told The Associated Press at the sideline of the conference. Al-Shahristani also said the current oil prices, fluctuating between $70 to $80 are "acceptable and balanced in the oil market." On Friday, benchmark crude for August delivery rose $2.35 to settle at $78.86 a barrel in on the New York Mercantile Exchange. Iraq sits on the world's third-largest known oil reserves with an estimated 115 billion barrels, signed a dozen of deals with international oil companies with an aim to reach an output capacity of 12 million barrels a day within seven years from the current daily production of about 2.4 million. Analysts say those estimates are too ambitious. LONDON—Iran's beleaguered oil industry could be on its way to passing an ignominious milestone: being replaced by its onetime nemesis, Iraq, as the Middle East's second-biggest oil producer. That possible drop in standing, largely a result of economic sanctions and Iranian mismanagement, raises the prospect of less revenue for Tehran at a time when new sanctions are piling up against the regime. The Paris-based International Energy Agency this week forecast Iran's oil-pumping capacity to drop about 18%, or roughly 700,000 barrels a day from current levels, to 3.30 million barrels a day by 2015. The IEA is an energy adviser to the U.S. and other industrialized nations that have concerns over the nature of Iran's nuclear program. But the agency's forecasts are generally regarded among oil analysts as industry benchmarks, and its assessment of Iran's production decline has been echoed by other industry analysts recently. Iraq has become the most important investment spot for major oil companies because of its huge, undeveloped reserves, the fourth biggest after Saudi Arabia—the Mideast's top oil producer—Canada and Iran. If the IEA's Iran forecast pans out, and if projections for Iraqi production increases prove accurate, the Islamic state's output in five years will trail Iraq for the first time in three decades. That would ultimately lead to Iran getting a smaller production quota in the Organization of Petroleum Exporting Countries—meaning less revenue for the oil-dependent government in Tehran. That prospect also implies Iran having less weight within OPEC, where influence is tied to output capacity. Highlighting Iran's unease with its situation, Iranian troops in December briefly occupied an Iraqi oil field in southeast Iraq in an apparent claim to ownership of the field. The two countries fought an eight-year war in the 1980s. Iran's oil-field problems predate its recent standoff with the West and the latest round of sanctions. Revolution and eight years of fighting with neighbor Iraq through the 1980s took their toll, with output plunging from a high of 6 million barrels a day from the mid-1970s. Oil infrastructure was damaged, and oil expertise fled the country. Many of Iran's oil fields are older than those of their Mideast neighbors, and so are declining much faster. Iran has to replace roughly 300,000 barrels a day of production each year from old fields just to keep its total output from falling. More recently, many foreign oil companies—sought out by Tehran for their expertise and capital—have been deterred by the increased politicization of Iran's energy sector under President Mahmoud Ahmadinejad, who came to power in 2005. U.S. pressure in recent years on foreign companies that have long done business in Iran has succeeded in sidelining several big investors. The latest sanctions by the U.S., European Union and United Nations threaten further damage. U.S. and EU measures, in particular, will make it even more difficult for Iran's oil and natural-gas industries to access badly needed funding, technology and new equipment. "The new European and U.S. sanctions will kill a dying patient, which is (Iran's) oil exploration and production," said Fereidun Fesharaki, an Iranian specialist at FACTS Global Energy, a consultancy. Iran's bleak situation is in stark contrast to Iraq. International oil companies have snapped up development blocks and rushed into big investment commitments since Baghdad opened its oil fields to competitive bidding last year. Many analysts conservatively estimate Iraq could boost its oil production capacity by at least a million barrels a day to a total of 3.5 million barrels a day by 2015. Many of Iran's oil fields are older than those of its Mideast neighbors. Both Iran and Iraq have a history of proving forecasters wrong, however. Iraqi oil officials have repeatedly predicted and missed projections to boost output. Iran, meanwhile, has sustained prodigious output despite decades of dire predictions, war and sanctions. Iran recently signed tentative deals with Turkey and Brazil to develop gas-export projects, and the country has attracted billions of dollars in oil-drilling investment from Chinese companies. Iran says the new wells it is drilling are offsetting its naturally declining production. "The new sanctions will make things more challenging, but we have been dealing with this for a long time," said an official from Iran's national oil company. Major Spanish oil firm Repsol has withdrawn from Iran's gas projects in response to unilateral anti-Iran US sanctions targeting the country's energy and financial sectors. Spain's largest oil company pulled out of a contract it jointly won with Royal Dutch Shell. The contract was intended for the development of phases 13 and 14 of the South Pars gas field in Iran, Reuters reported on Monday. The move comes after the US Congress once again voted for yet another set of unilateral sanctions against Iran's energy and banking sectors on Friday citing the Islamic Republic's refusal to halt its civilian nuclear program. US legislators are widely believed to be heavily influenced by pro-Israeli political pressure groups that have declared Iran as their top target for pushing US policy against. The bill will deny those firms that supply Iran with refined petroleum products access to US markets. Repsol has extensive economic interests in off-shore US oil and gas fields of the Gulf of Mexico. 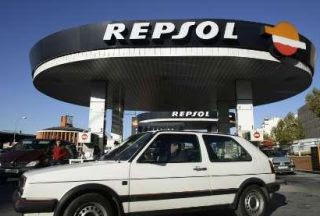 Iran had given an ultimatum to Repsol to promptly finalize its decision on whether it intends to stay or wants to pull out. Shell, on the other hand, has declined to announce its final decision. It, however, said that it will comply with any international trade restriction levied on Iran. Contrary to repeated US claims, Iran is a long-time signatory to the Non-Proliferation Treaty and has never possessed nuclear arms and has declared its fierce opposition to such weapons, calling for the comprehensive elimination of such weapons. Even though the US possesses nuclear weapons and has used them in the past, Washington still demands the right to judge which countries should possess nuclear programs, based on its own political objectives. (Bloomberg) -- Swings in oil prices may widen over the next five years as OPEC’s shrinking spare production capacity increases traders’ concern about supply shortages. Oil’s 50-day historical volatility, a measure of how much crude fluctuates around its average price, was at 34 percent on June 25. The measure rose to a record 108 percent in January 2009 after OPEC’s spare production capacity fell to its lowest in almost four years. The group’s idled capacity may drop to 3.9 percent of world demand by 2015 from 6.8 percent this year, according to International Energy Agency estimates. The Organization of Petroleum Exporting Countries has said its 6 million barrels-a-day of idled capacity is enough to meet demand and avoid a repeat of the price swings of the past two years, when oil slumped from a record $147 a barrel in July 2008 to $32 in December of that year. Crude traded this year at $64 to $88 a barrel in New York. Oil for August delivery was at $78.40 in electronic trading on the New York Mercantile Exchange, down 46 cents, at 12:18 p.m. London time. Investors can profit from bigger price swings by trading options contracts. When volatility is expected to rise, investors may use a strategy known as a long straddle, in which they buy both a call option and a put option on the same commodity, at the same strike price. The gain is generated by how far the price of the underlying commodity moves, regardless of the direction, while their potential losses are limited to the cost of the options. Price swings may deter pension funds and exchange-traded funds, which typically bet only on prices rising, he said. “If there is a lot of volatility it is unsustainable to be a long-only investor, your profit and loss swing will just be too big,” Montezin said by phone. OPEC, supplier of 40 percent of the world’s oil, pumped 29.4 million barrels a day in May, with capacity of another 5.5 million barrels idled, according to data compiled by Bloomberg. The group’s spare capacity was as low as about 2 million barrels a day in July 2008, when oil prices peaked, before tumbling as the global recession crimped energy consumption. Spare production capacity will drop as supplies from outside the group fail to keep up with demand, according to the IEA. The agency estimates world oil usage will rise 6.4 percent by 2015 to 91.93 million barrels a day, while output, excluding OPEC crude, will increase 3.7 percent. That means the world will need more of the group’s oil to meet demand. OPEC has said new production will keep spare capacity near 6 million barrels a day through at least 2013. Group members are planning 140 oil projects over the next five years, Secretary- General Abdalla El-Badri said Feb. 1. Saudi Arabia accounts for almost 60 percent of OPEC’s spare capacity, according to Bloomberg estimates. The country is investing as much as $30 billion on new supplies over the next five years to keep a minimum 1.5 million to 2 million barrels-a- day of spare capacity, Oil Minister Ali al-Naimi said in a May 18 interview with consultant Petroleum Policy Intelligence. “Markets are sensitive to when OPEC spare capacity starts getting down toward 3 million barrels a day,” according to Wittner of Societe Generale. Should supplies be disrupted from a producer such as Iran or Nigeria “there would not be much left after that,” he said. --With assistance from Grant Smith in London. Editors: Raj Rajendran, Rob Verdonck. TEHRAN,(UPI) -- Iran will start exporting gasoline within two years despite an international push to put pressure on the Iranian energy sector, officials said in Tehran. A measure passed last week by U.S. lawmakers bars international companies doing business with designated Iranian banks from the U.S. financial system. The measure also targets investors who continue to invest in the Iranian energy sector or who export refined petroleum products to Iran. The unilateral measure follows a similar deal passed in early June at the U.N. Security Council. 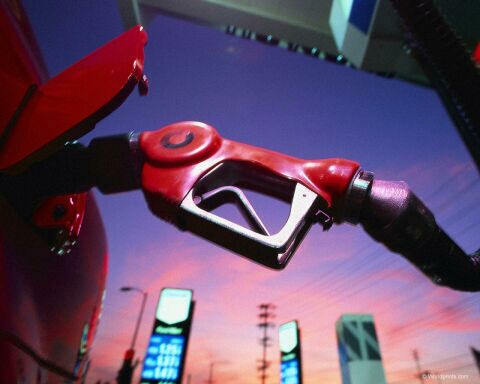 Deputy Oil Minister Ali Reza Zeighami said that despite the sanctions, Iran would begin exporting gasoline to international markets within the next two years, state-funded broadcaster Press TV reports. "Despite sanctions, Iran will be self-sufficient in gasoline production within two years and after that we can begin exporting gasoline," he said. The deputy minister said Iran produces around 11 million gallons of gasoline per day and imports another 5 million gallons each day. Five refineries, the minister added, would increase production substantially. "After completion of these projects, Iran's gasoline production will hit 34 million gallons per day," he added. He didn't indicate when the refineries were expected to go into service. Iran’s crude oil, oil product, natural gas and condensate exports earned Iran $ 60 Bln, over the first 11 months of the past Iranian year (started Mar. 2009). According to the Fars news agency, in the said period, total exports of the country exceeded $ 78.5 Bln, $ 59.555 Bln of which was accounted for by crude oil, oil products, natural gas and condensates, 24.3% down year-on-year. 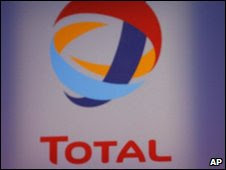 LONDON (Dow Jones)--French oil company Total SA (TOT) has become the latest company to discontinue the sale of refined products to Iran, a person familiar with the matter said Monday, amid new U.S. sanctions aimed at choking off its gasoline imports. It's unclear when Total decided to halt the sales and if it has outstanding delivery commitments. LONDON (Reuters) - Angolan state oil company Sonangol has added two new cargoes to its crude oil export programme for August, agreed loading programmes showed on Monday. Angola is now scheduled to export 60 cargoes of crude oil in August, up from 55 cargoes in July and 56 cargoes in June, according to the agreed loading programme, a copy of which was obtained by Reuters. The additional cargoes bring to 1.86 million barrels per day (bpd) the planned exports for August, up from 1.70 million bpd in July and 1.79 million bpd in June. Sonangol's initial provisional loading programme for August, issued two weeks ago, listed 58 Angolan crude oil cargoes exporting an average of 1.80 million bpd. Sonangol issues preliminary loading schedules with planned exports well ahead of the dates cargoes are due to be shipped and frequently changes details later in the month when it publishes its agreed programme. The additional cargoes in August are one 950,000-barrel lot of Kissanje crude and one 950,000-barrel lot of Saxi Blend. The new cargoes will push Angola's oil output even further above its target set by the Organization of the Petroleum Exporting Countries. Angola says its OPEC output target is 1.656 million bpd but an OPEC internal document widely quoted by industry sources suggests Angola's limit is in fact 1.52 million bpd. OPEC kept its official output limits unchanged at a meeting in March. In late 2008, it agreed to cut supply by 4.2 million bpd in response to lower demand and prices. Angola has not managed to stay within its output target since limits were imposed, according to Reuters data, as a recovery in oil prices has encouraged producers to raise output. Angolan oil output peaked in October of last year at around 1.93 million bpd and so far this year has averaged around 1.82 million bpd after several months of heavy production at the beginning of the year, Reuters data shows. Demand for Angolan oil from Asia has been heavy over the last year with around 1.65 million bpd of West African crude, much of it from Angola, heading east in June. Chinese buyers, mostly refiners, have taken around 30 cargoes a month of crude from Angola and other African producers such as Equatorial Guinea and Congo. Indian refiners have also been buyers of Angolan crude oil, trade sources say. 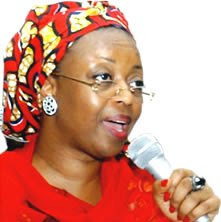 A long list of seemingly insurmountable challenges were awaiting the yet-to-be-appointed minister of petroleum resources when President Goodluck Jonathan announced Diezani Alison-Madueke as the chief executive of the important ministry. From the reforms of the oil industry through the controversial deregulation policy and the Petroleum Industry Bill (PIB), to the controversial gas-pricing regime, Alison-Madueke’s hands were full of challenges that would need many years to surmount. But the minister appears resolved to prove she is a go-getter. On May 26, 2010, just few days after her appointment as a member of cabinet, Alison-Madueke threw up a surprise by effecting a major shake-up in the history of the petroleum resources in Nigeria. Although she, among others, inaugurated, also, a board for the much-awaited Nigerian Content Act two days after this change of leadership of the Nigerian National Petroleum Corporation (NNPC), the shake-up, in which Group Managing Director of the NNPC, Shehu Ladan, was replaced with Austin Oniwona, seen by pundits as a major step that only the brave could take. This is because, the shake-up came barely one month after the former Group Managing Director of the NNPC, Sanusi Barhindo, was fired by President Goodluck Jonathan, then Acting President, and in his place, Shehu Ladan, was appointed. A statement by the Group General Manager, Group Public Affairs Division of the NNPC, Dr. Ajuonuma, noted that ordinarily the publication would have been ignored but in order to keep the records straight, the honourable minister of petroleum resources wished to put it in black and white that the recent restructuring carried out by the ministry under her watch was done based on the expediency to move the oil and gas industry forward out of the woods. He quoted the minister of petroleum resources as saying that all the various appointments and redeployments of officers made were based on professionalism, track record and efficiency of the affected individuals. Dr. Ajuonuma pointed out that in order not to lose sight of some of the spurious claims of the said publication, the former Group General Manager Human Resources of the NNPC, Auwalu Abubakar, was redeployed to Special Duties contrary to the claim that he was not assigned any duty. Also, the Acting GGM Crude Oil Marketing, Farouk Bello, was redeployed to Gas and Power, while former Managing Director, Hyson, Aisha Abdulrahman, was taken to NIKORMA as managing director. He said that for the avoidance of doubt, all the six geo-political zones of the country are well represented in the top management cadre of the corporation. According to him, the recent restructuring has the Group Executive Director Commercial and Investment as Attahiru Yusuf. The GED Special Duties, Aminu Baba-Kusa, while the GED Refining and Petrochemicals is Austen Oniwon – all northerners. Dr. Ajuonoma observed with dismay that Daily Trust newspaper earlier published that Turai YarAdua’s younger brother, F.B Abudullahi, was sacked from the services of the NNPC, Sunday Independent has reliably confirmed that Abdullahi has been sent for a top management course sponsored by Shell Petroleum Development Company (SPDC). This course would take him to six countries and he is expected to report to the London office of NNPC as group general manager at the end of his course. The NNPC spokesman stated that President Goodluck Jonathan must be commended for expeditiously assenting to the Nigerian Content Development Act, which seeks primarily to create jobs for the teeming unemployed youths of the Niger Delta and Nigerians as part of measures to ameliorate the unrest in the area. He also noted that worthy of commendation is Alison-Madueke for establishing the Nigerian Content Development Monitoring Board (NCDMB) and for immediately appointing an executive secretary saddled with the responsibility of enforcing compliance of Nigerian content in the international oil companies doing business in Nigeria. It stated that NNPC GED Engineering and Technical Services, Abbiye Suku, moves to the position of GED Corporate Services, while the Director of Directorate of Petroleum Resources (DPR), Billy Agha, moves to NNPC Headquarters as GED Engineering And Technical Services. The current GED Corporate Services, A. Yusuf, moves to the position of GED Commercial And Investment (C&I), while the current GED C&I, Aminu Babakusa has been moved to GED Special Services. The statement added that all the GEDs on acting capacity over the past two years have been confirmed. At the Ministry of Petroleum Resources, the statement said that Allison-Madueke has approved the following changes: Deputy Director, Directorate of Petroleum Resources (DPR) Andrew Obaje, who becomes substantive director DPR, while the Acting Group General Manger, Ag. GGM, in charge of New Business Development Division, (NBDD) Samuel Okeke, now moves to the Pipelines and Products Marketing Company, (PPMC) as substantive managing director. He swapped position with Reginald Stanley, who moves to head NBDD. The Federal Government (FG) is dousing tension on 2010 oil licensing rounds. It has vowed that it is no more business as usual in the next oil licensing rounds, which it declared would start any moment from now. The FG, it would be recalled, earned $1.5 billion between 2005 and 2007 in signature bonuses from the oil licensing bid rounds introduced by the administration of former President Olusegun Obasanjo in 2000 to replace the discretionary allocation of oil blocks to companies operating in the petroleum sector. The $1.5 billion generated from the open and competitive bid process is a huge departure from the less than $600 million earned when the blocks were allocated on a discretionary basis, prior to 1999. Alison-Madueke, who led the Nigerian delegates to the 41st Offshore Technology Conference (OTC) in Houston Texas, pledged while declaring the Nigerian stand open, to streamline the contracting processes and procedures in the oil industry so as to eliminate time wastage. The next licensing round, she said, is coming on the heels of the signing of the Nigerian Contend Development Law and the anticipated Petroleum Industry Bill. She added that the Nigeria’s participation at the OTC 2010 is pertinent and rewarding for the sector. Less than two weeks of Alison-Madueke in the saddle, gas supplies to Egbin Power facility and other traditional Power Plants (TPP), hit the all-time high of one billion standard cubic feet (scuf). The minister, who made this known at a meeting with members of the Senate and House of Representatives Joint Committees on Gas Resources, added that her immediate concern was to sustain this level of gas supply and possibly boost supply through repair of gas infrastructure. The minister reassured Nigerians of her ministry’s commitment to ensuring regular electricity supply across the country. The short-term plan was to stabilise power supply to such a level that would enable consumers plan their activities with some level of predictability. Alison-Madueke disclosed that apart from short-term projects that are currently being pursued to add 325mmcf/d to national gas production level by the end of 2010, the ministry was exploring other means of boosting gas supply. These, she said, include the review of domestic supply obligation and a new pricing regime for gas to ensure bankability and attract investors into the sector. Also, Alison-Madueke said the Gas Master Plan so far, is being moved into the operationalisation stage where it would create a basis for sustained growth in the sector. The FG would henceforth refocus attention on the $7 billion Olokola Liquefied Natural Gas (Ok-LNG) in its new move to position Nigeria as a major player in the global gas market, Minister of Petroleum Resources, declared recently. The government, according to the minister, was also making efforts to secure the Final Investment Decision (FID) of the Brass Liquefied Natural Gas by the end of 2010. The four-train Olokola development has a total capacity of 22 million tonnes per year. Another major focus of this administration, according to Alison-Madueke, is to ensure expeditious implementation of the Nigerian Gas Master Plan to attain clear-cut short-term and some medium-term objectives. Also Nigerian Content Monitoring Board (NCMB), at the weekend declared that one per cent of every contract awarded in the Nigerian oil and gas industry would be used to fund the Nigerian Content Act. Acting Executive Secretary of NCMB, Ernest Nwapa, who said this maintained that one per cent of every contract would henceforth be paid into the NCDF, in accordance with the Nigerian Content Act, assented into law by President Goodluck Jonathan recently. He disclosed this in Onne, Rivers State after inspecting the pipe threading yard of Botro Marine & Oil Services, pointing out that the fund would be deployed specifically for developing the capacity of Nigerian service providers in the oil and gas sector. Nwapa said the fund would be managed by the board of NCMB and was different from the $350million Local Content Fund which was put together by the NNPC in 2007 to serve as a working capital for Nigerian companies that got service contracts in the oil and gas industry. According to him, “In this case, you need to demonstrate the bankability of an investment and the board will begin to talk to you. You are going to show a business plan and prove that the investment will be able to repay the loan. While explaining that the vision of the NCMB was to grow the funds and use it to attract other financial players who would leverage on it, such that Nigerian service providers would do business knowing that the fund was available for them to use, he added that the Nigerian Content Act was very robust as it was put together by legislators who understand the oil and sector, with inputs from member of the industry. “3. Secure our aspiration of making Nigeria a regional hub for gas-based industries such as petrochemicals, methanol, fertiliser etc., by ensuring that we sign up world-class investors in these sectors before the end of the year. “Our focused agenda aims to operationalise the master-plan in a manner that is commercially viable and sustainable,” she said. One of the most critical enablers for sustained gas supply to the power sector, according to Alison-Madueke, is the price of gas. Current price of gas to power, she said, is about $0.2lmmbtu. “A new price regime was introduced last year as part of the pricing policy. That price regime proposed a steady migration of the gas to power price to $1/mmbtu by the end of 2012. “However, that regime has not been implemented in any of the GSPAs. At the moment, the gas sector consumes about 100mmcfld of gas, however, this is set to increase to about 2500mmcfld by 2014. This is a significant growth requiring a major growth in investment by suppliers over the next few years. The current gas price of clearly cannot support such investments. “Similarly, whilst the revised price proposed last year enabled growth in supply, that growth was limited to supplies coming from existing sources. To grow supply significantly, brand-new supply sources are required and the investment required for such is more significant hence the need for a new pricing,” she explained. The price above will, according to the minister, be capped by export parity, meaning that at no time will PHCN pay more for gas than the export projects are paying for gas. “In addition, the price review is performance based i.e. it is attached to growth in gas supply. In essence, each price change will be triggered only when the gas sector has demonstrated that it has developed sufficient gas to attain a particular threshold of electricity generation,” she stressed. According to Alison-Madueke, the prescribed thresholds are 4.7GW by end 2010, 6.2GW by end 2011, 8.2 GW by 2012 and 8.2GW by 2013. With this linkage to performance, Nigerians are assured that they are paying for growth in supply. This change in gas pricing, she added, is a major milestone in the repositioning effort of Nigeria’s gas sector and the effective take-off of the Gas Master-Plan. With the power sector consuming over 75 per cent of the planned domestic supply, it is essential that we get the commercial framework right to ensure sustained supply. “We are confident that these changes will signal a major boost in gas development for the domestic market,” she assured. A critical requirement for gas supply development is the need for bankable contractual agreements and the minister pointed out that her ministry has commenced the most elaborate and comprehensive development of gas supply and purchase agreements as well as gas-transmission agreements for the domestic gas market. This effort, she explained, would move the supply to power sector (and other sectors) from the current loose, best endeavour basis to one anchored on strict commercial agreements. “This – will move the process of gas supply and purchase in Nigeria to world class levels. The template agreements have been finalised and I am reliably informed that negotiations of the fine parts of this agreements are ongoing between Power Holding Company of Nigeria (PHCN) and the supplier companies – I expect that within the next 4-6 weeks, we shall be in apposition to execute these landmark agreements between the power sector and the gas suppliers. “This is our next milestone and we are making very steady progress towards achieving this. These agreements will reflect the new gas prices mentioned above,” she said. She noted: “You may recall that one of the major dis-incentives to suppliers in supplying gas to power is lack of comfort that when gas is supplied, they will indeed be paid. With the World Bank Partial Risk Guarantee that was initiated in the gas master-plan, this problem is now permanently fixed. “The World Bank mission is currently on ground in Nigeria working with our team on the gas agreements and perfecting all other necessary agreements in respect of the Partial Risk Guarantee. She expressed happiness at the level of performance in the gas to power trend. “I am pleased to inform you that our gas supply performance is now at an all time high. We have completed all critical pipeline repairs that mitigated against our performance last year and all gas plants are operating at or very close to full capacity,” she declared. Current supply on the western system averages about 700mmcf/d, enough to power virtually all-operational power plants on that axis. She continued: “There is also excess gas available at the Okoloma Gas Plant to fire additional PHCN turbines at Afam V whenever they are ready. “We are collaborating with our power sector counterparts to ensure that all these – gas ineffectively taken for power generation. I can assure you that this increased supply in gas will be manifest in increased power generation very shortly once residual challenges in the power side are completed. She however, promised the government’s effort towards gas supply in 2011. The new power resources minister has a robust profile manifesting a well-grounded education leading to a B.Sc, Architecture from the Howard University; an MBA from the Cambridge University. Alison-Madueke had a career that spanned Project Engineering, American Interior Builders, Washington; Design Coordination, Furman Construction Management Inc, Rockville, United States; Head, Projects Unit, Shell Petroleum Development Co of Nigeria Ltd, Lagos, 1993-96. She became the minister of transportation 2007; Minister of mines and steel development, 2008 to 2010, after, which she was appointed minister of petroleum resources, also in 2010. Although Alison-Madueke has wielded big sticks in efforts to revolutionise the petroleum ministry, Nigeria, like the literary Oliver twist, needs more of her actions for its economic survival. This is simply as a result of the fact that the ministry she heads contributes over 90 per cent of the total revenue for the country. The minister has, no doubt, contributed to her quota on the local front. She should, as a prominent member of the Oganisation of Petroleum Exporting Countries (OPEC), better the lots of Nigeria on the international scene by getting the OPEC’s nod for Nigeria’s plan to increase the quota for its daily oil output to the international market. Gulf Coast to get billions...No dividends..